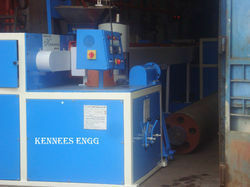 Banking on our enriched industry experience, we are engaged in offering a huge gamut of Filament Winding Machine. This high grade Winding Machine is designed and developed by using latest technology. The main features of this Winding Machine include sturdy construction, high performance, specifically designed, smooth functioning, non-corrosive and are very energy efficient. 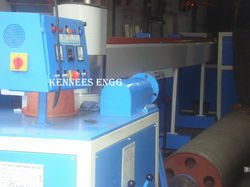 We bring forth an impregnable range of FRP Pipe Filament Winding Machine. These high quality FRP Pipe Filament Winding Machines uses strands of strong carbon fiber and fiberglass. We take into account the different application needs of various industries and offer suitable range of FRP Pipe Filament Winding Machine. Thus, this FRP Pipe Filament Winding Machine is extensively used in military and defense segments for different purposes. We are engaged in offering a wide range of Filament Winding Machine. This high grade filament winding machine uses strands of strong carbon fiber and fiberglass. This machine is extensively used in military and defense sectors. We take into account the diverse needs of various industries and fabricate the suitable range of filament winding machine. Looking for Filament Winding Machine ?